Sonny and Olivia stop by to say their goodbyes to baby Connie. Lante are surprised to hear that Maxie was also considered unfit and that Spinelli got sole custody. Lulu blames Dante for the loss saying he was supposed to have her back. Dante says he couldn’t perjure himself, but Lulu counters that he gave false testimony to protect his father. She wonders why he couldn’t do the same for her. Dante says the deck was stacked against them because Connie is not their daughter and she doesn’t belong to them. He tells her that she needs to face that because they need to surrender the baby today. Diane gives Spinelli the paperwork granting him sole custody and reminds Maxie that she needs to stay 20 feet away from the baby or face jail. She warns Spin not to allow Maxie access or he’ll lose custody. Diane apologizes to Maxie for not winning the case for her. Maxie begs Spin to take good care of the baby. Later, when Mac and Felicia arrive, Maxie cries that she can’t live without her daughter, but they assure her they’ll help her through this. Carly confides in Felix that she slept with Franco and explains about Heather. Felix warns her to stay away from Franco and reminds her what happened with Michael. Carly is certain that Franco never meant Michael any harm and helped save his life. She claims she’s seen a different side and honestly believes that he’s changed. Scott stops by to see Franco, who asks for the DA’s help in protecting Carly from Heather. Scotty’s trying to downplay the scandal and make his new job work. He wants to keep his distance from Franco and this mess. Monica, Michael and Kiki come out to support AJ for the start of his trial. AJ is surprised when Liz arrives. 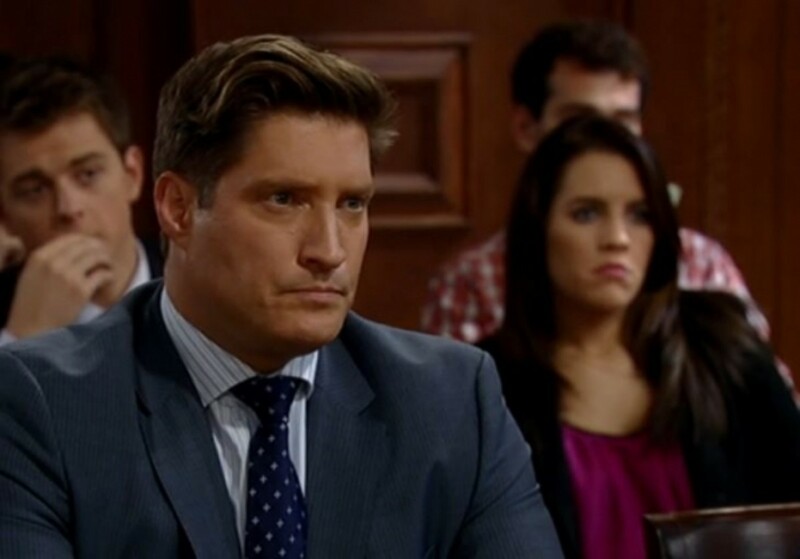 Scotty addresses the court, saying AJ murdered Connie and he’ll prove it. Diane counters that AJ is innocent and the real killer is still out there. Scotty calls Sonny to the stand, who testifies about the night AJ had his hands around Connie’s neck and the night he found Connie shot. Sonny explains that Connie wrote AJ’s letters in her blood before dying. Diane questions Sonny’s hatred for AJ and their long standing vendetta. She questions whether Sonny himself wrote the letters. Sonny admits he didn’t see AJ shoot Connie. Franco is angry when Heather arrives on his door step. He warns her to stay away from Carly, but Heather says she’ll do anything to protect him. Franco warns that he’ll kill her and swears he has it in him. He’s chocking her when guards from the institute arrive to take Heather away. She’s happy since they’re they ones helping her escape in the first place. Liz is called to the stand. Scotty asks about the night AJ choked Connie and Liz is forced to admit that AJ said he would have killed her had he had a weapon. On cross examination, Liz says AJ was upset and venting. Scotty declares that he has security footage of what happened that night. Spin tells Ellie that he and the baby will be moving in with Sam for the time being. Ellie promises to help. They arrive at Lante’s to take the baby. Lulu and Dante say their good byes and hand over the baby. Lulu collapses in tears when they leave. 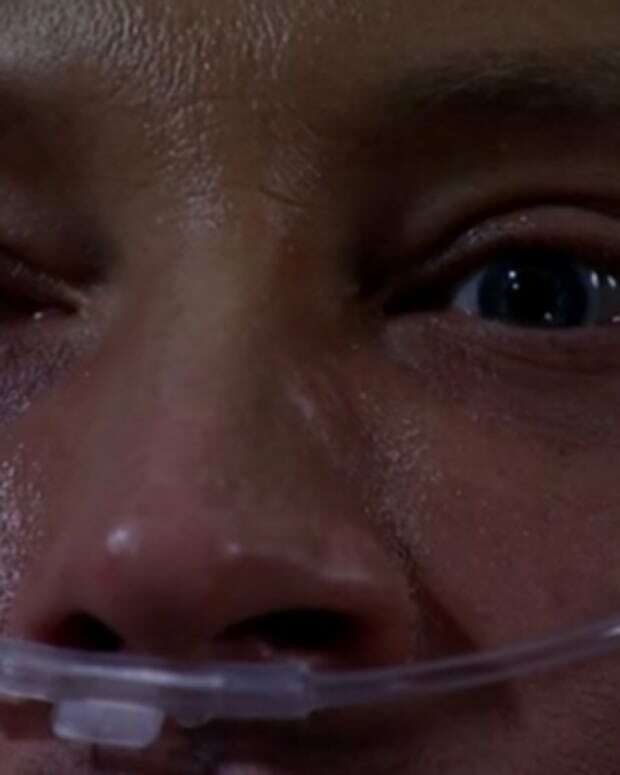 Perkie's Observations: Will Scott's Video Send AJ to Pentonville on General Hospital?